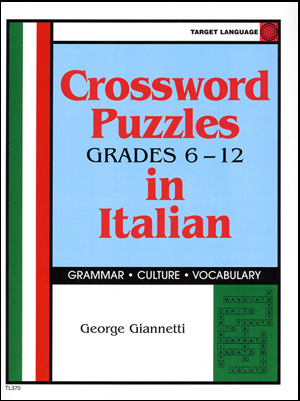 Crossword Puzzles in Italian by George Lionetti - Increase your students' vocabulary; review basic grammar; learn a little culture; change the pace of instruction; and do something different! 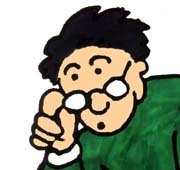 These reproducible puzzles may be used to supplement any first- or second-year Italian text. They may also be used for review during the more advanced years. The grammar concepts and vocabulary used are basic and are found in most beginning texts for grades 8-12. The back of this collection also includes a special "sample review section." Remember: you can never do enough review. Puzzle answers included.